The wedding bells have tolled! Every one of us loves the fabulous and gorgeous celebration of the union of two beautiful people in love (not just DeepVeera). And it becomes more special when you know it’s your yaar ki shaadi. So, how can you not dance in the most happening event of this gala affair, your bestie's Sangeet? Get fit with these groovy dance workouts to rock the Sangeet with your delicious steps this Shaadi Season. 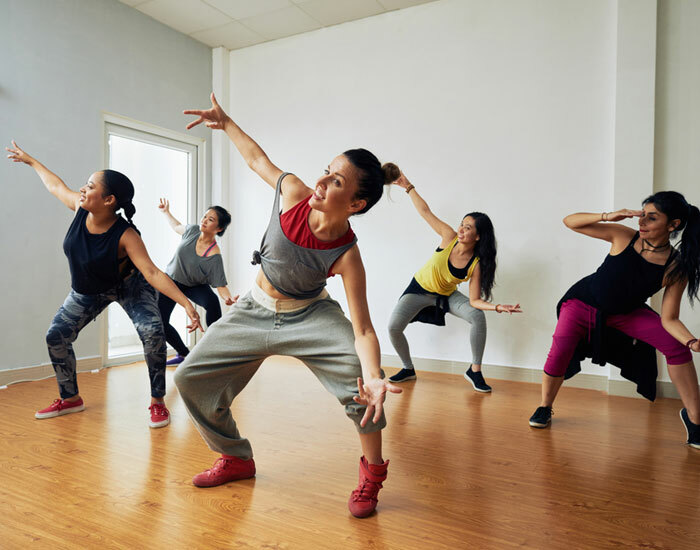 Zumba Dance Workout: Ruling the floors since 2001, Zumba has been engaging people into sessions of peppy dance, laughter, and fun across 150 countries. It is one of the best dancercises to tone down and step up for the wedding. A mix of three dance styles, namely Creole, Latin and African, Zumba keeps you away from boredom and close to fitness with energetic beats. So, gather your gang, turn up the music and get ready to burn the dance floor. Bollywood Dance Workout: We cannot thank Bollywood enough for the best movies and…the best songs that get our feet tapping and party rolling. Ranging from traditional Indian folk to Indian pop dance, Bollywood Dance Workout provides you with the variety of medium to high-intensity workouts. So, get ready with the thumkas to dance your way to fitness this wedding season. Be the Desi Girl or the Disco Dancer and fire up the dance floor on the Sangeet. Bhangra Dance Workout: Punjabi beats anyone? Yes, the fun dance that you, your family and friends engaged in, in every lavish get-together party is actually a workout routine! So, put your hands up in the air and do the bhangra to the latest Punjabi tracks! Bounce to its zippy beats and get your Sangeet choreography sorted as you sweat it all out in this high-intensity cardio dance workout. Hip-Hop Dance Workout: Looking for a workout with some attitude? Try hip-hop! It’s not only about swaying your hands, shoulders and neck in swag but also moving your hips and catching the swift beats with the perfect bounce. Groove to the tunes of 50 Cent, Lil Wayne, Missy Eliot and Beyonce. Get along with this powerful dance workout to give a happy shock to the chachis and buas and own the dance floor this Sangeet. Bokwa Dance Workout: Want to take the road less traveled on your dance workout prep before the Sangeet? Try Bokwa! The newest workout in town, Bokwa is an advanced variation of Zumba. A cardio-licious blend of hip-hop and step aerobics, it provides you with low, medium and high-intensity routines as you move your hips to the exhilarating beats. Flexible and friendly, Bokwa makes you dance even if you think you can’t. So, what are you waiting for? Get ready to glam up and sweep your bestie of their feet with your smooth, swag steps. Download the FITPASS app to know more about dance workouts. 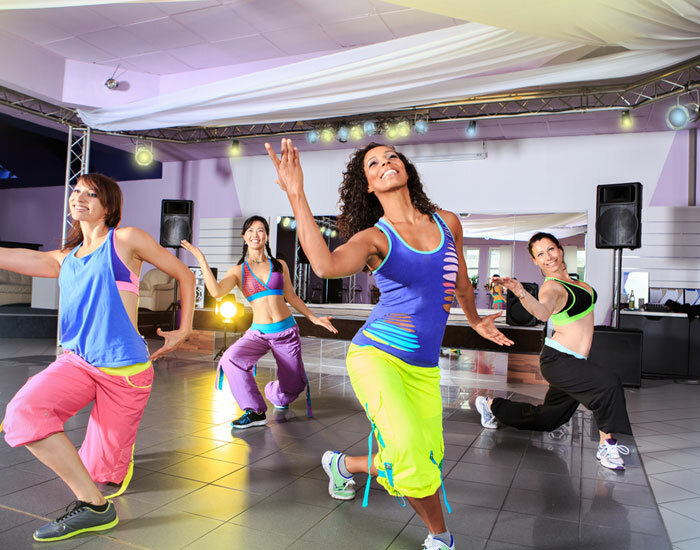 Choose from more than 2000+ fitness centers near you and get fit through dance. And don’t you worry about timings - because FITPASS gives you the power to workout wherever and whenever you want.